Every design is unique to you! 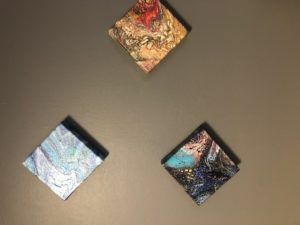 Pick your colors and place on a canvas, our talented instructor will demonstrate a certain tipping motion. Watch as your beautiful design emerges! Open to the public. Fee: $20.00 all supplies are included!